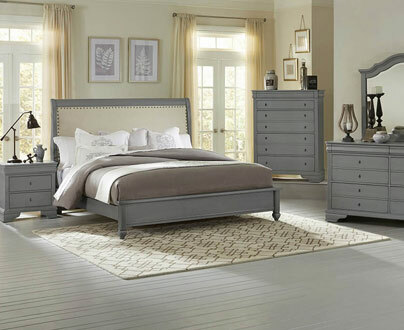 One of our most popular Vaughan-Bassett bedroom furniture sets boasts the sophisticated style of Louis Phillippe-era France. Its case pieces feature distinctive rounded tops, intricate fluted pilasters, and clever ogee under-top moldings that contain secret drawers. 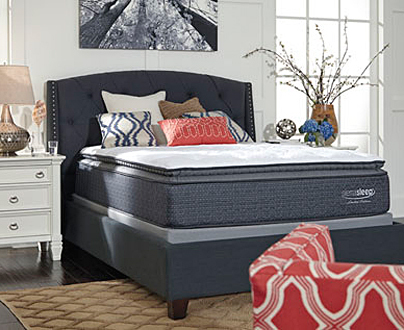 Opt for this southern Virginian artisanship and you get a choice among 3 styles of twin, full, queen, or king beds! 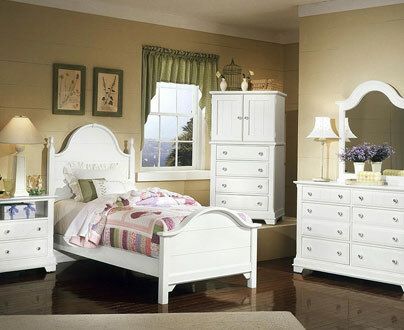 The sleigh bed is all wood and includes raised panels and fluting on the posts. The platform sleigh bed contains Belgian linen in the upholstered headboard. And the poster bed choice has a lovely sinuous cap rail among other design details. 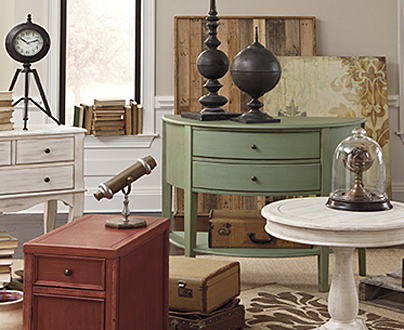 This bedroom set’s trim nightstand, crafted mirrored dresser, and sturdy chest of drawers contain the craftsmen’s attention to ideal function such as drawers that glide effortlessly on self-closing ball bearings, an industry standard. One of our best-selling Vaughan-Bassett kids’ room furniture sets has the same exacting refinement as our adult sets but scaled down to a kid’s twin size bed. 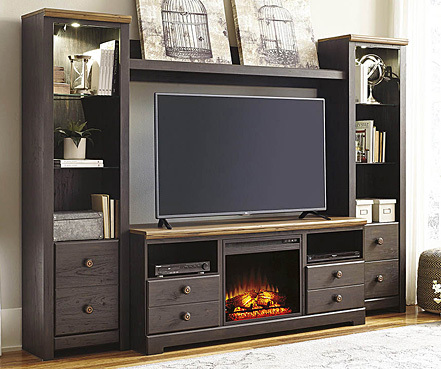 This hardy frame boasts an accoutrement that harried parents will appreciate, the storage footboard with a built-in drawer. This addition is just big enough to stow next week’s bedding or things such as toys you don’t want underfoot. If there’s one thing Vaughan-Bassett values, it’s the integrity of work. Its founders started this venture precisely to save 700 jobs in southern Virginia, and Vaughan-Bassett has become a success story. In that spirit this manufacturer joins you in the Internet age as working from home has become more popular. 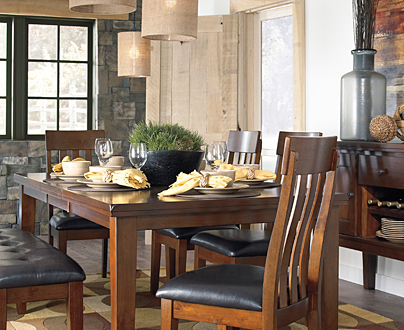 Thanks to its old-school craftsmanship, you can choose home office furniture like no other, featuring Appalachian hardwood that must pass stringent requirements. 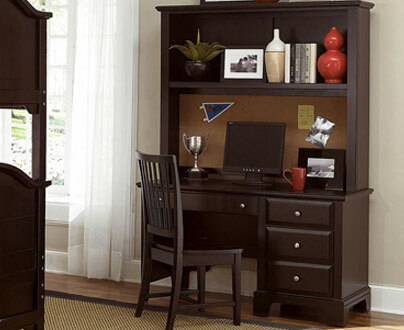 At Roberts, this brand’s combo of desk chair, computer desk, and hutch, available in black or oak finishes, is a favorite. If you still use a desktop computer, the desk has a pull-out keyboard tray. Find out what the buzz is about. 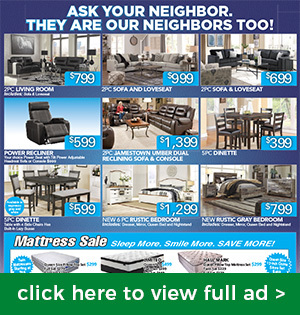 Check out your Vaughan-Bassett furniture options on this site, then visit our Hampton, VA store or any of our other locations.